"You'll Be Able To Break Blocks & Punch Trees On Xbox One & PS4 Soon"
Minecraft: Xbox One Edition will be making its long awaited release this Friday, September 5th 2014. Owners of Minecraft:Xbox 360 Edition will be able to purchase the game for a reduced price, $4.99 USD. If you don't own the Xbox 360 verison of Minecraft, you can pick up the Xbox One Edition for $19.99 USD. Microsoft also explained that any DLC players bought for Minecraft: Xbox 360 Edition will be available in the Xbox One Edition for no extra charge. Minecraft: Xbox One Edition will have worlds 36 times larger than the Xbox 360 Edition. Players will be able to transfer their Xbox 360 worlds to the Xbox One Edition. Microsoft also announced that later this year retailers will be selling a physical copy of the game. Daniel Kaplan, Mojang, announced on Twitter today that PS4 owners might be able to play the game later today. He explained they were taking care of a few last minute things and that they hoped to have the game on PS4 today in both the Americas and Europe. No exact time was given for the possible PS4 release today, so we will have to wait and see if the game will find its way onto the PlayStation Store later today. No word on the Vita Edition. 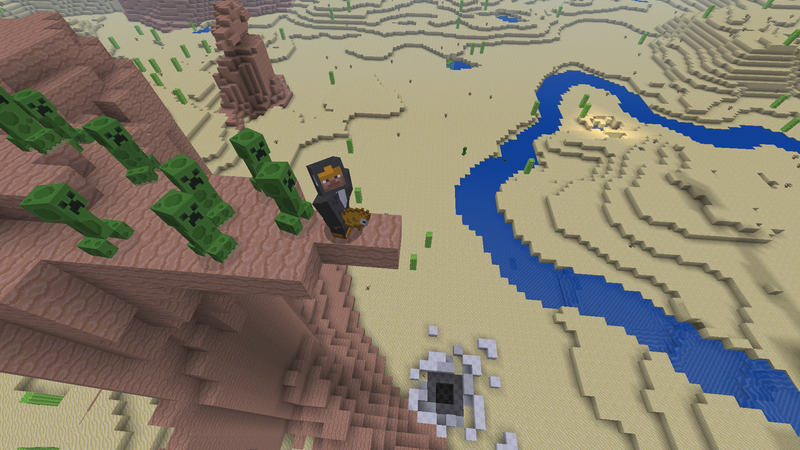 Minecraft is currently available on PC, MAC, PS3, Xbox 360 , Android and iOS. UPDATE - The Playstation Blog confirms that Minecraft for the PS4 will be launching tomorrow on the Playstation Store for $19.99. Also just like the Xbox 360 to Xbox One upgrade, upgrading from the PS4 version will cost $4.99.